Civic Leadership Program inaugural class, with Hernandez third from left in the front row. Photo by Center for Architecture. 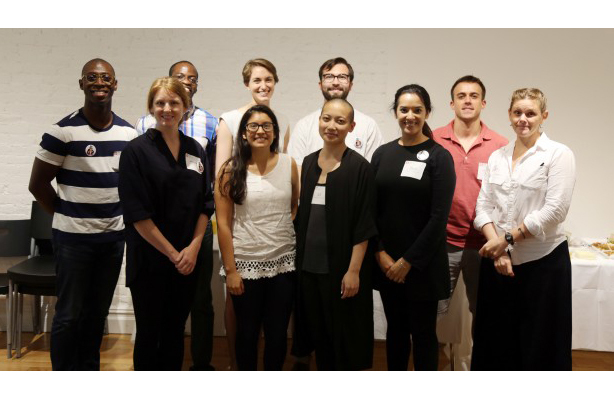 Christina Hernandez M Arch ’15 has been selected for the Center for Architecture’s new Civic Leadership Program. Together with nine other young, talented, socially committed professionals, she will participate in a year-long series of programs and events to develop civic leadership skills. The CLP was initiated following the 2016 election to build on the groundswell of energy and interest in the civic realm. 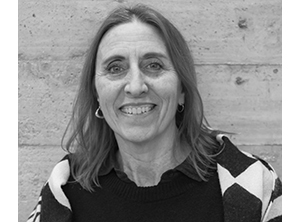 Hernandez is an architectural designer at SLCE Architects, where she works on housing. Before coming to SLCE, she biked across the country with an organization called Bike & Build to raise money and awareness for affordable housing efforts nationwide. At CCNY, as a research assistant on the publication Prototyping Architecture: The Solar Roofpod, Hernandez researched New York City infrastructure and the potential for net-zero-energy building in underutilized spaces. As an undergraduate in Environmental Planning at Binghamton University, she worked on the Energy and Climate Action Plan for the City of Binghamton, developing recommendations for local policy and government action—a moment she points to as a catalyst to her interest in community-building.